From a fun-packed vacation to a relaxing break, Trinidad and Tobago are dream destinations for all sun seekers. With rainforests, beaches, parties, and wildlife, it’s easy to see why thousands of tourists flock to these small Caribbean islands every year. Being close to the equator means Trinidad and Tobago are blessed with year-round summer weather, making them perfect beach destinations. Trinidad’s breathtaking North Coast Road is lined with some of the area’s best sandy stretches. 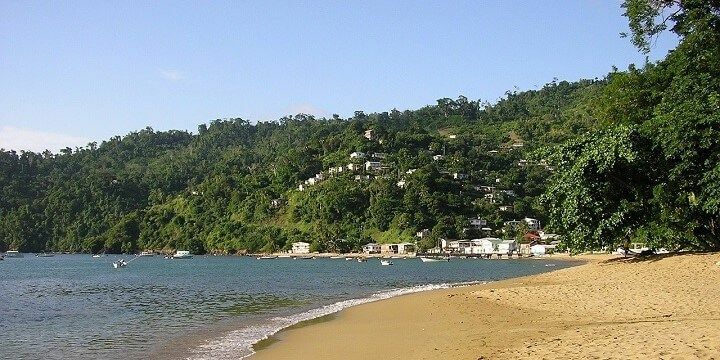 En route, you’ll see Maracas Beach, which is popular among locals, thanks to its food stands, music, and entertainment. This is the best place to try bake and shark, a traditional fast food dish, consisting of fried flatbread with shark. 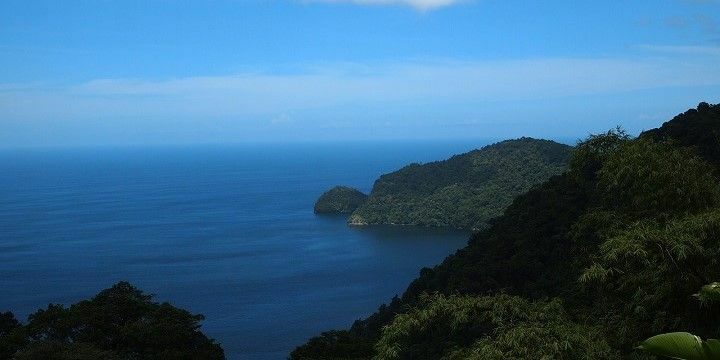 Trinidad’s North Coast Road features great views. Further along the coast, you’ll find the quieter Las Cuevas Beach, great for sunbathing and relaxing, and Marianne Beach, an ideal spot for swimming. Alternatively, the stunning Manzanilla Beach, on the east coast, stretches as far as the eye can see. Alternatively, you could hire a boat for the day and explore the tiny islands dotted around Trinidad. If you‘re after a picture-perfect Caribbean beach, Tobago is the place for you. Store Bay, with tasty food stalls and a relaxing atmosphere, is just a few minutes from the airport. It's also a top-notch jet skiing destination. Trinidad and Tobago both offer amazing beaches. Meanwhile, Tobago’s most popular beach, Pigeon Point, caters to all beach goers, with white sand, crystal-clear waters, beach bars, and an array of watersports. Those of you looking to take to the waves should also check out Mt Irvine Beach, which is great for surfing. Diving is also popular in Tobago, with fantastic facilities in the village of Speyside, north of Tobago. Trinidad is the second-largest nesting area for leatherback turtles in the world, with thousands coming up to the shores every year. Head north to see the turtles at Grand Rivière or Matura Beach. Both of these are protected ecotourism areas, meaning you’ll have to take a guided tour to see the animals. Watch the female turtles nest in April and May, or visit between June and August to see thousands of newborns make their way to the ocean. To see underwater creatures, head to the Buccoo Reef, home to incredible coral gardens and exotic fish. 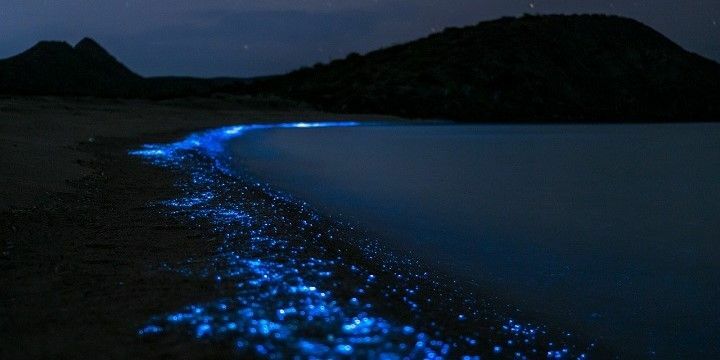 Visit Pigeon Point to see the Nylon Pool as well as glowing plankton. Glass-bottom boat tours run several times a day, leaving from Pigeon Point out to the reef and onto the Nylon Pool, a large sandbank in the middle of the ocean. Pigeon Point is also an incredible spot for sunset kayaking and paddle boarding, when you can see the plankton glowing under the moonlight. Bird watchers should head to the 48.5 square kilometer Caroni Swamp and Bird Sanctuary. Take a sunset cruise along the swamp and marvel at the Scarlet Ibis birds flying back to nest for the evening. 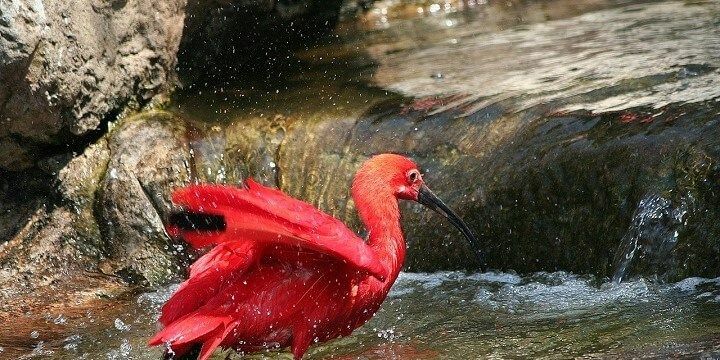 Many Scarlet Ibis birds live in the Caroni Swamp and Bird Sanctuary. Thrill seekers will love Trinidad and Tobago’s abundance of waterfalls, rivers, and lagoons. Check out the Three Pools, three freshwater pools, with a natural water slide, and an eight-meter-high rock to leap from. The nearby Avocat Waterfall is also a must-see, especially for anyone looking to try abseiling. Hikers will also be spoiled for choice: one of Trinidad’s most popular hikes, is the hour-long trip up to the 15-meter-high Angel Falls at the foothills of impressive El Tucuche mountain. Trinis love to party! There is always something happening, but the best time of year to visit Trinidad is February or March, when carnival takes place. However, be sure to plan ahead: if you want the full carnival experience (known in Trinidad as “playing mas”) you‘ll have to purchase your costume and tickets online months in advance. 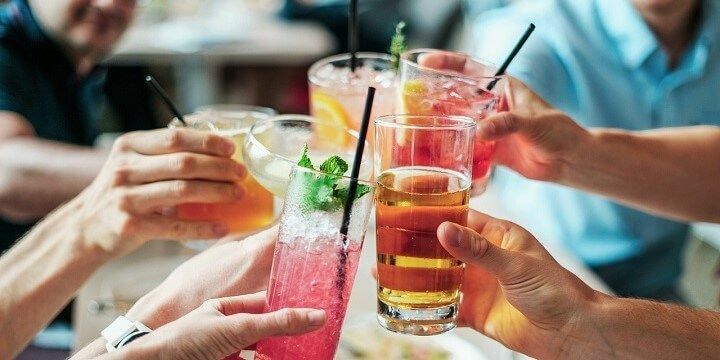 You'll find many bars and clubs on Trinidad and Tobago. If you can’t make it during carnival, fear not: the famous Ariapita Avenue hosts multiple vibrant clubs and bars, which are open year-round. If NextStop24 helped you to choose your next travel destination, we'd be very grateful if you’d search for your accommodation and things to do in Trinidad & Tobago through these links. They're affiliate links, which means that we will receive a small commission for every booking made through them. There are no extra costs for you; you'll simply be helping to keep NextStop24 running. Thanks! Trinidad & Tobago are true dream destinations, these Caribbean islands are some of my favourite places to visit. There is always something going on, whether it is a soca concert or carnival fete, the locals love to party! But, if you just want to relax, there is no better place than the white sand beaches of Tobago. I would go back to T&T just for the food, whether it’s ‘bake and shark’ on the beach or ‘doubles’ in the morning, the food is worth the trip!